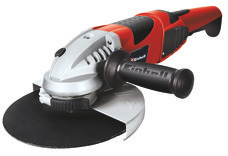 From the range of robust and powerful angle grinders from Einhell, beginners, ambitious DIY enthusiasts and experts alike will all find what they are looking for. 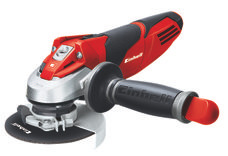 Our tools make light work of separating metal, stone and ceramic, grinding, smoothing and derusting, along with roughing and deburring, and they even work cleanly in corners and recesses. 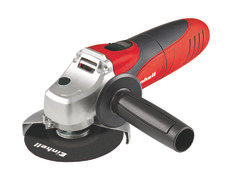 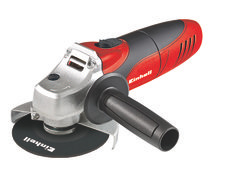 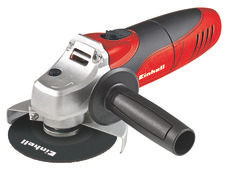 If you often use an angle grinder, you should choose a low-vibration model with a Softgrip. 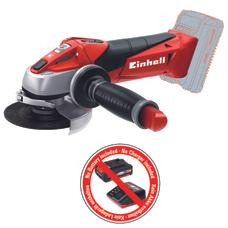 For maximum flexibility there is the cordless angle grinder, which can also be used where there is no source of electricity available.